The series PG2 IP65 Digital Pressure Gauge measures gas and liquid pressure with high accuracy at an affordable price. 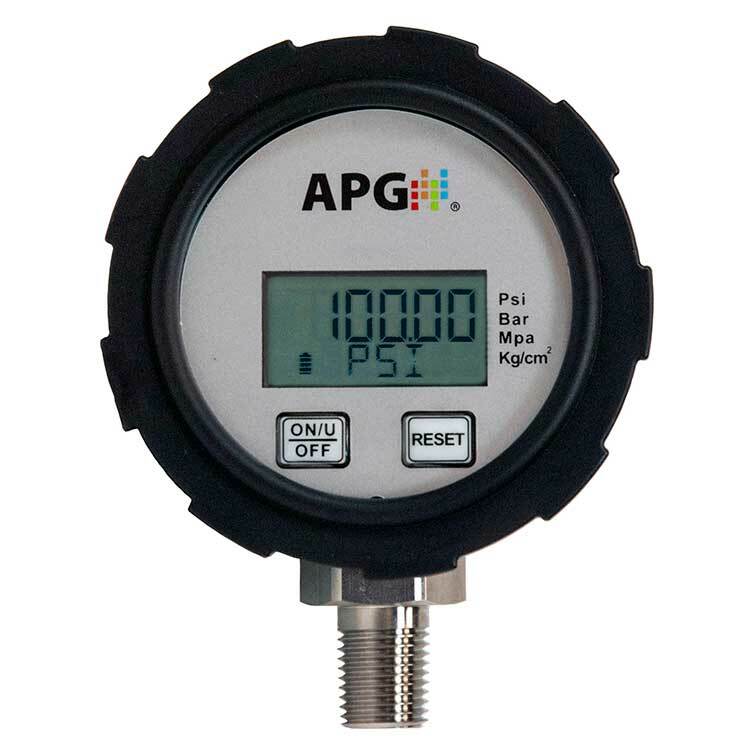 As our basic digital pressure gauge, the PG2 has a weatherproof case, 304L stainless steel wetted material that is compatible with many liquids and gases, and comes with easy to use features and an easy to read display. The series PG2 IP65 digital pressure gauge is our base-line digital gauge. Its rugged, weatherproof design carries an IP65 rating, so it stands up to outdoor and industrial environments. The PG2 has all 304L stainless steel wetted material for compatibility with wide range of liquids and gases. With Auto-off and Re-zeroing functions, user-selected Units of Measure, and a four digit, backlit, LCD display, the PG2 is easy to set up and easy to use.